Home / MITHUNDA / Mithunda adds more power to his years as he turns 68, Happy Birthday Gourango ! Mithunda adds more power to his years as he turns 68, Happy Birthday Gourango ! Asia’s first dancing sensation, India’s pelvic Presley and a Biggest Heart-throb of Russia from India, Mithun Chakraborty celebrates its 49th Birthday in Mumbai since the day he came to Mumbai in the year 1969. His struggle is truly a story of rags to riches, in spite of all the challenges and hurdles which he made it surmountable with sheer grit, determination and hard work with charm to churn out innumerable hits and become the revenue-boosters as a Hindi actor who churned out innumerable movie more from the southern region. Mithun Chakraborty is the name that has made an indelible mark in the Hindi film industry records. An extremely talented actor, he has played some fabulous characters in many films and has won a lot of accolades. His charismatic appeal hasn’t withered with the age, has gracefully played characters that suited his image, and even then, made them seem real and solid. Surojit Nag, a staunch Mithunist, resident from Kolkatta has his deep-rooted love and dedication for Mithun, his idol, a mention of his Mithunda's name brings sparkle in his eyes with great happiness, expressing on what really made him feel crazy for this star, he says “ Mithun Chakraborty is a name I closely associate with my childhood. It was sometime in 1983 that a movie named “ Main Aur Mera Hathi” was screened in my boarding school in St Paul’s Darjeeling. That was my first connect with Dada and it has been a long association since. I along with my close friend Arunava Saha has lived Dada’s career side by side. When things didn't go well, disappointment set in. Just when Dada was back with a hit, our joy knew no bounds. Now, at this moment eagerly waiting for new releases such as “GENIUS” & “THE TASHKENT FILES” "
Expressing his love from Howrah, a hard-core Mithunist, Dipankar Chakraborty joyfully stated “HAPPY BIRTHDAY to you Dada 16th June is just like 'Guru Purnima' for me! Guru is the inspiration, Guru is the Institution! You are the inspiration for every struggler who believes himself, you are the Institution ! how to make a success story by self-respect...stay healthy Dada & wish your long life. The industry is rife with Mithun’s belief on how he prefers to keep a low-key on his birthday, he is averse in celebration and cake-cutting. But fans and loyalist across the world celebrates Mithunda’s Birthday as if it is own birthday. Mithun’s die-hard fans and followers a.k.a Mithunists is known to wish each other across the globe so that the belief in Mithunism spreads far and worldwide. Such is admiration, loyalty , dedication and love for him that on the eve of 16th June in his birthday, wishes and greetings come in various ways; for the sake of his fans and for those who would like to refresh the glory and leading days of Mithunda by taking a retro journey on his box-office heydays. Gourango Basanta Chakraborty,(fondly known as Mithunda) entered the Bollywood Industry with an art film (Directed by Mrinal Sen) Mriggayaa, winning his first National Award, in 1976. For those who don’t know much about him, I re-iterate that this dusky, unconventional young man went on to establish himself as a leading man in many commercial pot-boilers, and was renowned for his dancing moves. He created desi-disco and excelled at it with his lithe-limbed grooving. He earned two more National awards for his Bengali films. He blazed the silver screen. His humble and middle-class upbringing from the Northern part of Kolkatta during the 60’s unintentionally had paved way to Naxalism, which had a reverse effect that made him more determined which fueled the in-born revolutionary attitude to fight all the odds and surmount all the challenges with grit, intuition, warm approach , friendly and ever smiling overture to pave his path in the Asia’s most difficult film Industry, the Bollywood, to become the first dancing sensation that grooved across the hearts of the world. “And if at all someone does come across, I’ll know it’s time for me to step down. This industry is nobody’s father’s property; every actor however big or small has to take leave some time or the other. No one can be around forever. It is the survival of the fittest here. Prove your worth and you’ll be adulated. Everybody is a competition for everybody. 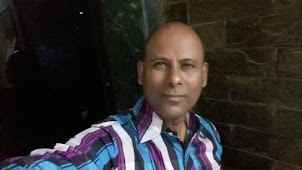 You cannot overlook; you have to keep fighting even when you at the top for there is always a scale which no one before you has touched” had added Mithun. Recalling those palpable moments of the first-day-first-show, most of Bollywood was on tenterhooks as stakes were high and only two actors were prominent who kept the cash registers ringing and the audience was hopefully looking forward. "In those years Producers and Distributors have stopped taking the risks on Solo-Amitabh or Solo-reigning-star-starrer anymore. To play safe they made Mithun sign on the dotted line as well. And the distributors are only too eager. For they have realized that it is better to be safe than sorry. In today’s unpredictable market where the fate of films is decided by the whims and fancies of the audience. Mithun guaranteed a big draw (if not bigger) as the reigning Shahenshah (Amitabh) of those days. Above all compared to any other actor in those days, Mithun’s anecdote of his humbleness and generosity towards the film-wallahs and his loyal fans were rife. Overall because of his benevolence, humbleness, friendly, affable, more accessible, more down-to-earth attitude, he was certainly a better proposition than the tall, angry Allahabadi.” Says a film financer, who was known to finance some of the Hindi films in 90’s, till now he maintains a close connection with both the stars and preferred to remain anonymous. 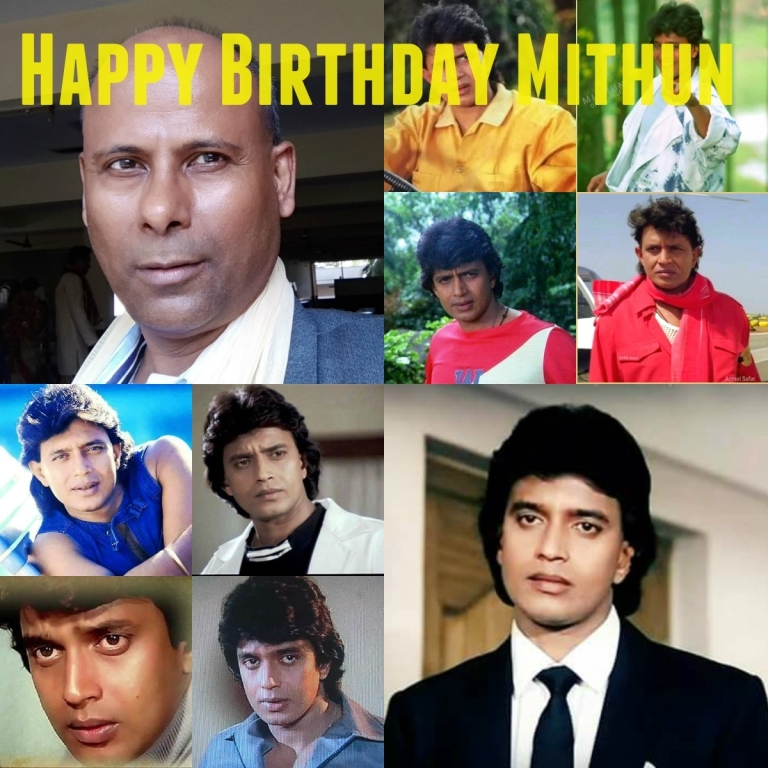 From Mrigayaa to Mera Rakshak to Surakksha to Hum Paanch to Disco Dancer to Pyar Jhukta Nahin to Dance Dance and till Pyar Ka Mandir, overall having three National Award to his credit, it’s been a slow but steady rise for Mithun with a larger fan base in Asia and other parts of the world. “Audience got overblown with Surakksha, the movie that gave Mithun the mammoth platform that he deserved, it's truly a Cult film that reinforced Bollywood that a real and complete star had arrived” puts in Vijay Upadhyay, a long time friend of Mithun and a close associate till now. Not only he had survived the onslaught of star-sons (Sunny Deol, Sanjay Dutt, Kumar Gaurav), star-protégés (Anil Kapoor, Jackie Shroff, Chunky Pandey), timed-entries (Vijayendra, Raj Babbar, Naseeruddin Shah during his entry days) and star-comebacks (Vinod Khanna, Dharmendra, Rajesh Khanna, Shatrughan Sinha) He out-paced them all, the proverbial dark horse and held his position in a promising way. Before his entry, he has perfected himself to all the department of histrionics thereby creating an onscreen persona (hitherto, during 70's which was not existent) with the target of becoming the next superstar after Amitabh proved to be successful. His portrayal of a tribal in Mrigayaa under the direction of Mrinal Sen has become a historical document and is been taken as studying material and a case-study to every aspiring actor to pick up any role. The main difference between him and his predecessors, successors, contemporaries was that Mithun's films ran successfully in the whole of India and not just Hindi speaking areas and he did films of every genre simultaneously and has more critically acclaimed films to his credit than all other Hindi Actors of every generation. Mithun is among the few actors who can manage to strike a balance between different kinds of cinema and remain relevant and popular with both kinds of audiences - masses and classes for displaying his craft, having 3 national awards under his belt is a big achievement. Since his entry, a new set of audience and his patronizers emerged, his easy going and down-to-earth demeanour made his peers protective about him (Rajesh Khanna adored him) and some of his heroines wanted to pair with him. Such was his earnestness, popularity, friendliness, humbleness and easygoing was his vibe that everyone wanted to be part of his growing adulation. His chemistry with upcoming directors and film-makers is today a stuff of rising and reigning dreams of every aspirant who has a similar background like Mithun, whatever he did in spite of his box-office records the emerging audience and fans lapped up everything about him, he had the whole range of socio-economic class following him in India, neighboring countries and the whole of Russia. Mithun was in their dreams, fantasies, hearts, T-shirts and everywhere, his colour was forgotten only the popularity of his sweat gleamed in their sight, such was the adulation of Mithun, he shone with pride and created an idol-worship for his followers. His impromptu jigs were in sync with his inner rhythm and enthused a whole generation to the dance floor. Unrehearsed, unaffected, unpretentious……Mithun Chakraborty was the unobtrusive scene stealer. In a decade that breezed through with more than 350 movies and millions of fans across the nations……Mithun is the only actor that stroke the chord across with his sparkling smile, dance and talent giving a Bollywood entry through Disco Dance in India to form the first 100 crore club back in 1980’s.